Love it!! Having mixed emotions about writing a similar letter myself. adorable, wonderful– made this girl smile! ‘Be yourself’. Was there any better advice ever given? I think not.You completely rock as a mama! You are one rockin’, lovin’ mom! how sweet! 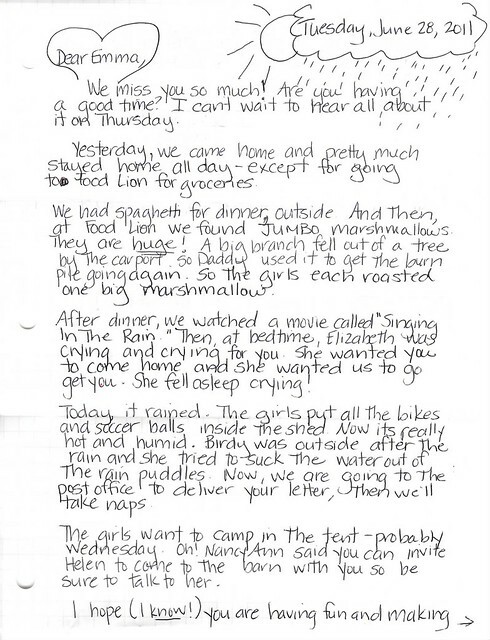 i can’t imagine writing a letter like that to one of my girls, but I am sure if i blink they’ll be off to camp! 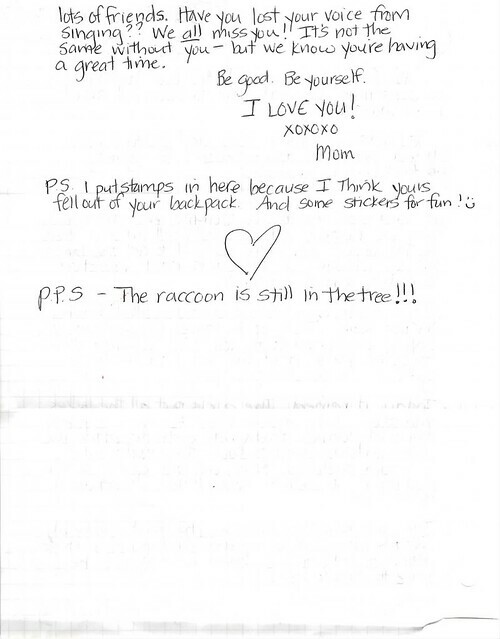 I suddenly had a vivid memory of being at camp and getting a letter from my mom. They had spaghetti, too. 🙂 “Be good. Be Yourself.” You are an amazing mama, Molly. so sweet. i wrote a letter to my girl who is also a camp this week. So sweet. You are a strong and wonderful mama. what a sweet mama you are! i wish i would get such a lovely letter oh yes. oh, 4-H camp. Some of the fondest memories from my childhood came from there…I share camp songs with my kids everyday. I hope she loves it loves it loves it. I also don’t even want to think about being such a good parent that my kids are independent enough to handle 4-H camp without me. Good job mama! I was good up until the “be yourself” part. And then I got a little teary. I loved this post! What a great reminder to slow down and spend time communicating sweetly with out children. Thanks! Next Next post: How can you deny her?